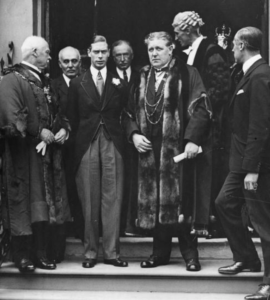 In his early years Percy John was privately educated by the Misses Hutt, who ran a school for “Young Ladies and Preparatory School for Boys”, at 29 Trinity Street. In January 1888, aged 10, he obtained a Perse Scholarship and left the school in October the same year. (from school record). Educated at Jesus College, Cambridge he was a foundation scholar and prizeman with First Class in the History Tripos in 1899. He was also a Senior Whewell scholar in International Law. In 1901, he was articled to the Town Clerk of Cambridge and in 1904 he passed the Law Society Final Examination with honours. 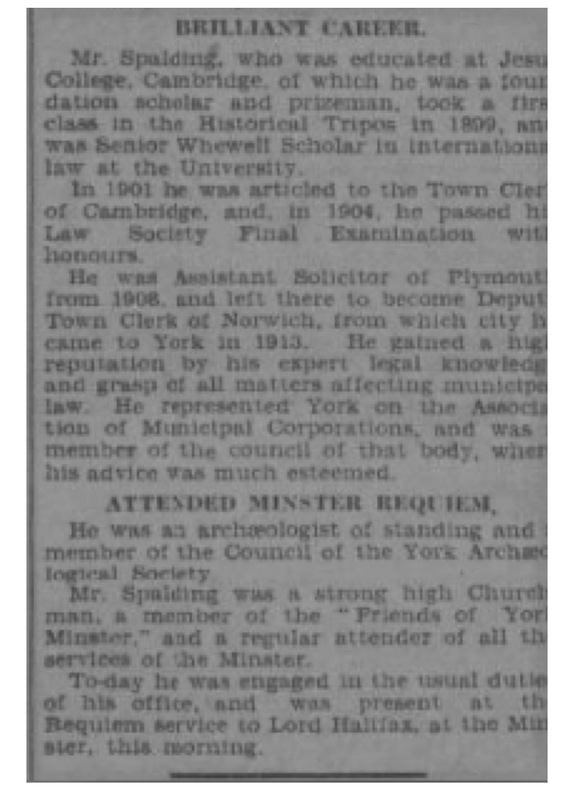 He was Assistant solicitor at Plymouth from 1908, then become deputy Town Clerk of Norwich, before moving to York in 1913. He represented York on the Association of Municipal Corporations and was a member of its Council. 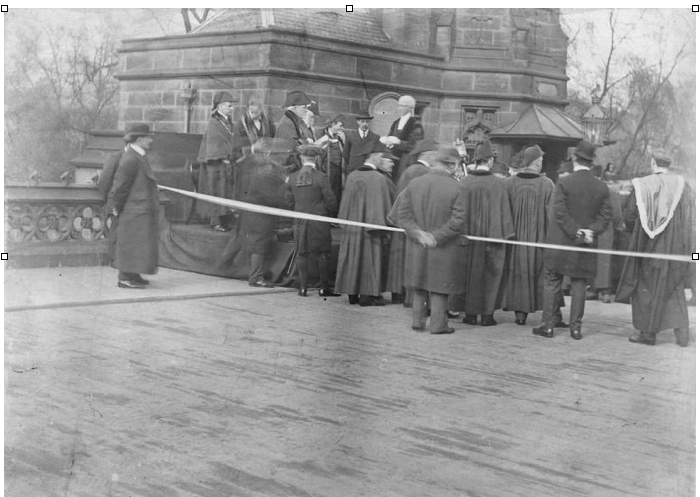 By 1913, aged 35, he had become Town Clerk of York, having gained a B A and L L M.
He was also a keen archaeologist and member of the Council of the York Archaeological Society. 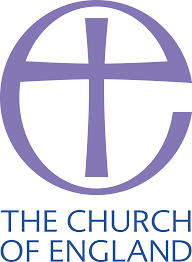 He was a strong high Churchman and a member of the Friends of York Minster, where he regularly attended services. The Yorkshire Evening Post described him as “a man of great personal charm, extreme courtesy and pleasant temperament”. 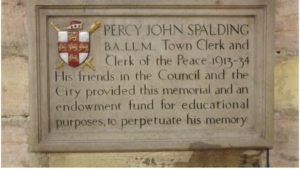 He served as Town Clerk of the City of York from 1913-1934. Photographs of him in the York library archives show that he wore his professional wig even when attending outdoor events. His signature appears as Clerk to the Tribunal on many documents relating to applications for exemption under the Military Service Act 1916, which have lain unopened until recently at North Yorkshire County Record Office. 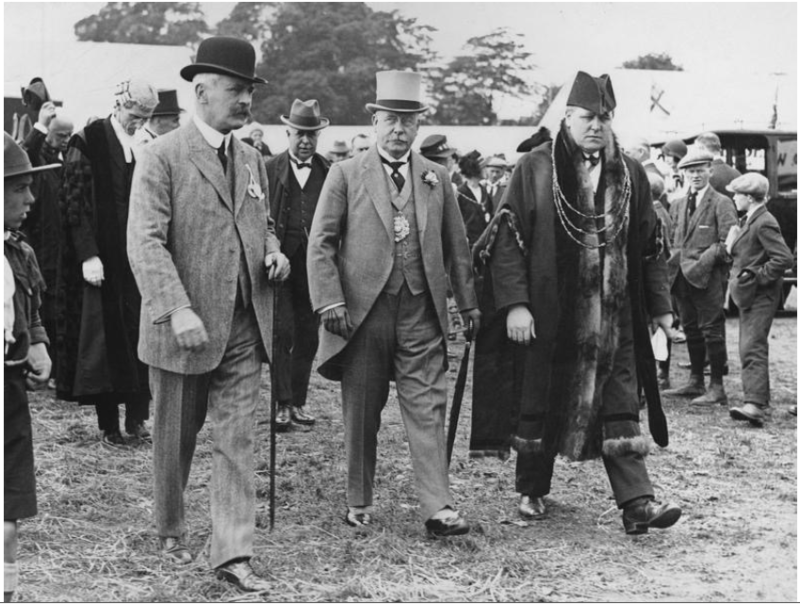 Great Yorkshire Show held at the Knavesmire in York 23-25 July 1924. 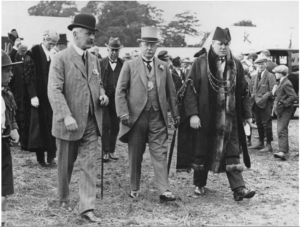 Percy died suddenly in 1934 at the age of 56. 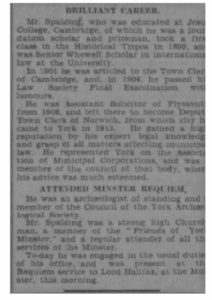 Leeds Mercury on 24 January 1934 (British Newspaper Library) described his sudden death when about to address a meeting at the Presbyterian Church in York about the work of the Town Clerk. 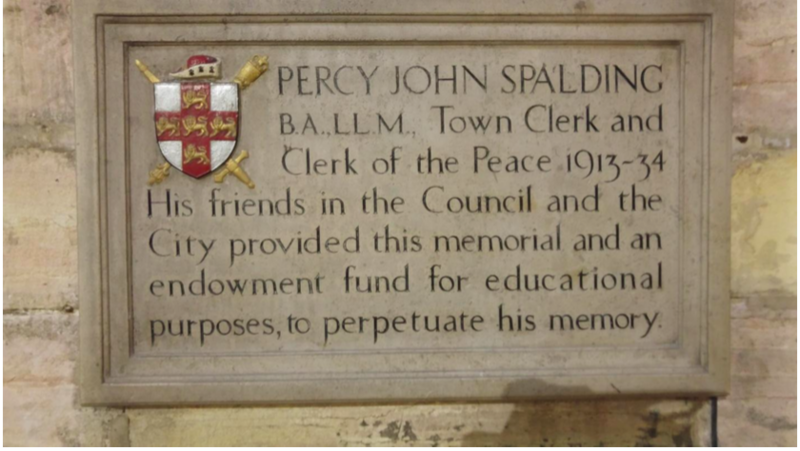 An education fund (now closed) was established in his memory. This is believed to be the fallen headstone that marks the Spalding family grave.